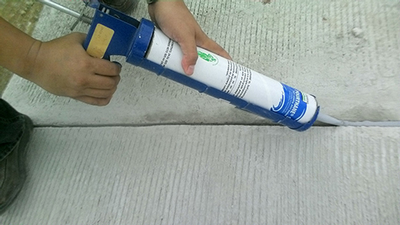 Designed for excellent adhesion and resistance to aging and weathering, the moisture-cure product is used to seal horizontal expansion joints in concrete and cementitious slabs, such as sidewalks, balconies, pavement, terraces, warehouses, factories, civil structures, plazas, runways, and pitch pans. Pourthane SL is a one-component, self-leveling sealant for horizontal expansion joints. The sealant requires no mixing, is low VOC, and has a movement capacity of +/-25 percent. According to W.R. Meadows, it offers accelerated curing, is jet fuel resistant, permanently elastic, and highly durable. Pourthane SL is recommended for applications where UV exposure and water and salt spray are prevalent. Tagged categories: Cementitious; Moisture-cured polyurethane; Sealant; W.R. Meadows Inc. Does this product have a category under ASTM C920? Tom, a W.R. Meadows spokeswoman advises: "Yes it does have categories after the 920. The spec is also listed on the data sheet."